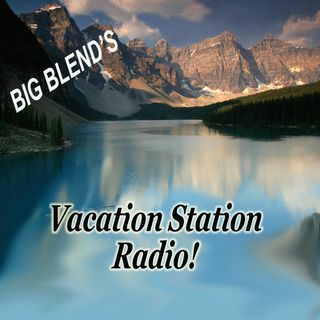 From Yosemite and the Great Smoky Mountains to the Everglades and Saguaro National Park, this Big Blend Vacation Station' Radio Party is all about national parks, traveling, outdoor adventures, history and photography. - Otis Harville - Award-winning landscape photographer and fine art printmaker, ... Maggiori informazioni national park traveler, and author of the new e-book “The Great Smoky Mountains: A Peek Inside"
- Sandra Ramos - National Park traveler, road tripper, history geek, photographer and publisher of the NationalParkPatchLady.com travelogue. Plus, Steve Schneickert recalls Hollywood History of National Parks, and featured music is "Loving the Land" by Tucson based singer-songwriter Wally Lawder. This episode was made possible by the National Parks Arts Foundation who provides unique artist-in-residence opportunities within National Parks.